Android is of the most popular operating system for mobile smartphone. 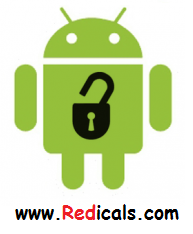 For Security Issues about android OS they have come up with Android Lock Pattern where you need to create pattern, So when ever your unlock your screen you need to draw that pattern. Now don’t worry if you have forgotten your Lock Pattern, you can easily remove that lock from your smartphone. Ok Now Just follow below steps and you can Unlock Android phone if you have forgotten pattern. Step1:- Enable USB Debugging, Go to Settings ->Development->USB Debugging and enable it. Step2:- Now Connect Your Android Device to your Laptop or Computer.